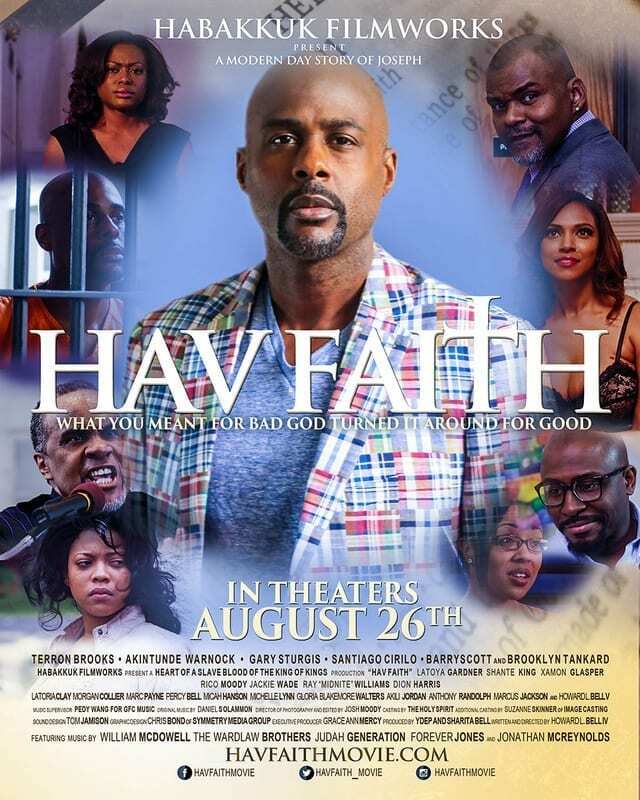 Home Lifestyle Entertainment “HavFaith” the Movie Premieres this Weekend! “HavFaith” the Movie Premieres this Weekend! “What you meant for bad God turned it around for good.” That Old Testament classic scripture is the foundation for the upcoming new film “HavFaith.” Nashville film maker and director Howard Bell (“Keyed: film) has taken a modern day approach to the classic story of the biblical character Joseph and his many troubles and later triumph. “The script deals with some of the major points of story of Bible’s Joseph but it also has a host of characters that surround the story to make it a little bit more interesting and more modern as well too,” says director Howard Bell, who also wrote the script. “I’ve always wanted to do a faith based film but I wanted to do one that had more realism about it. You see a lot of faith base films and to me, they are kind of cookie cutter. They’re not very believable to me. Most are just not connecting with me or a certain type of audience. But that’s not the case with HavFaith. Almost anyone will be able to relate to the various issues this film deals with,” adds Bell. Next articleIt’s All Because HRC is a Woman, Just Like Obama is Black!